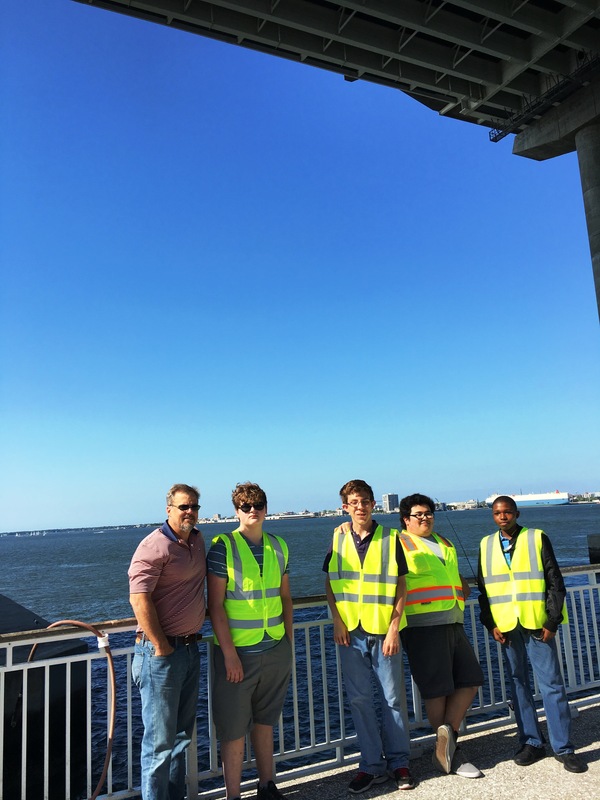 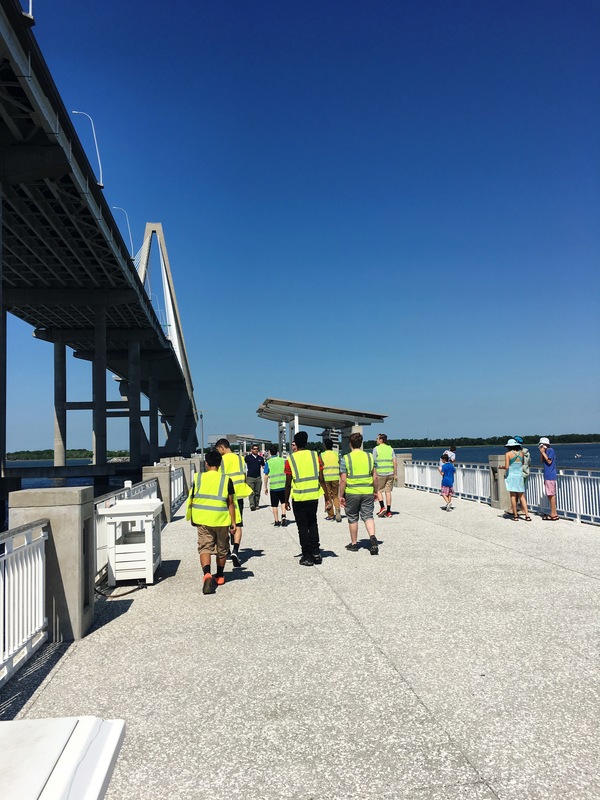 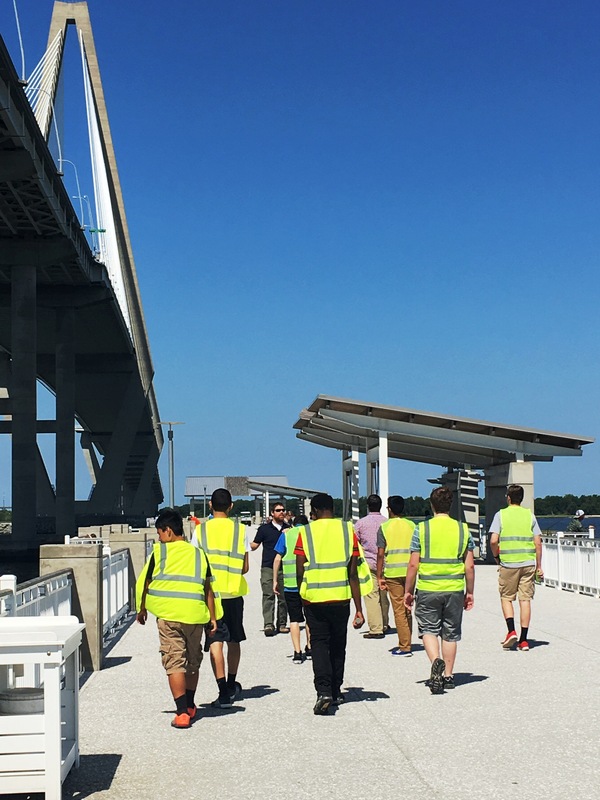 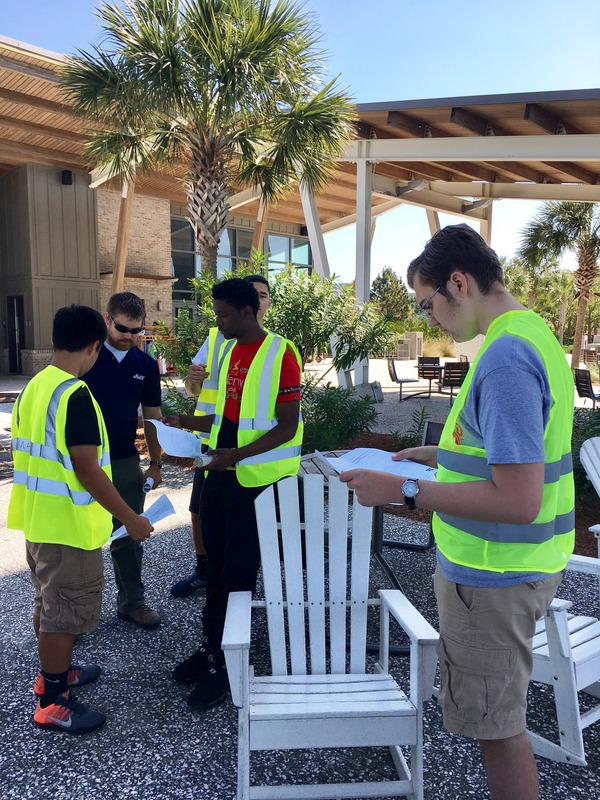 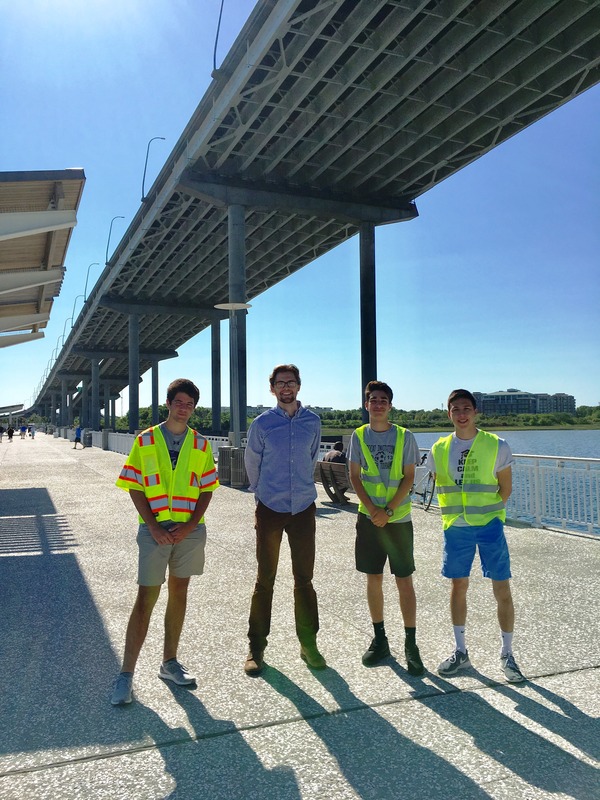 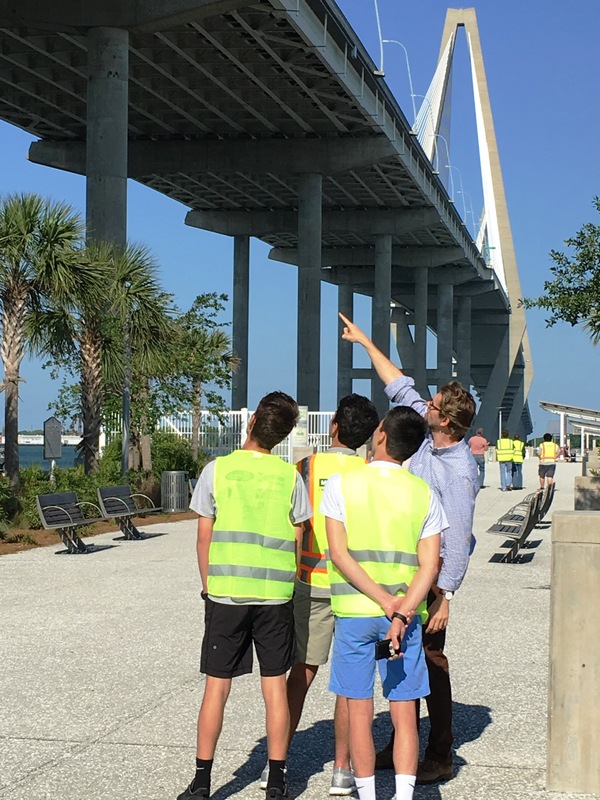 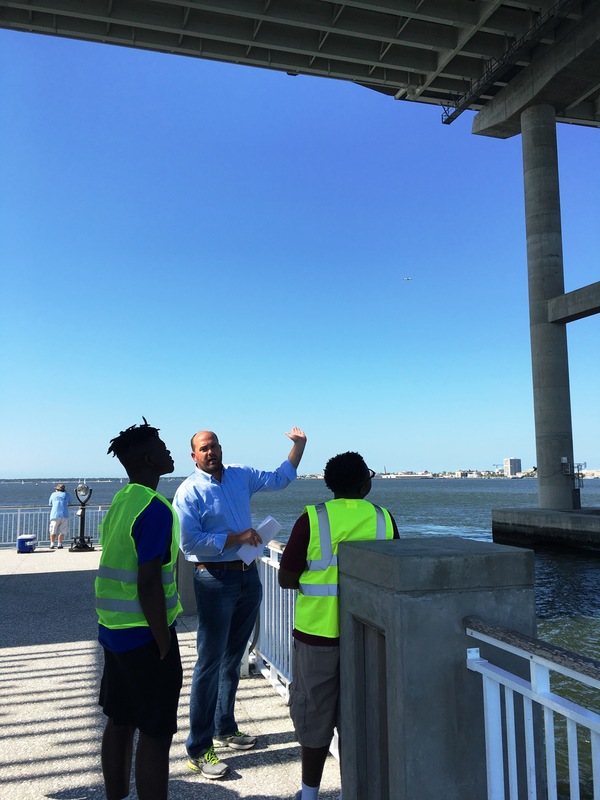 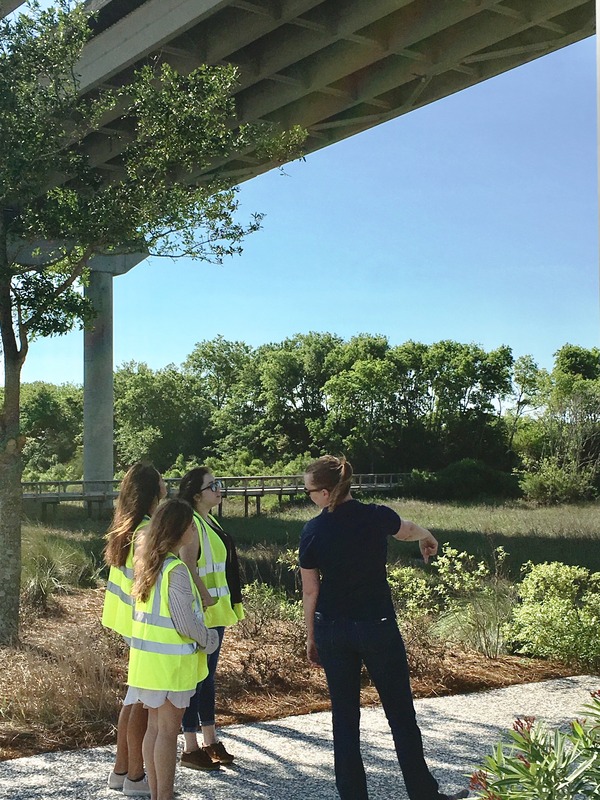 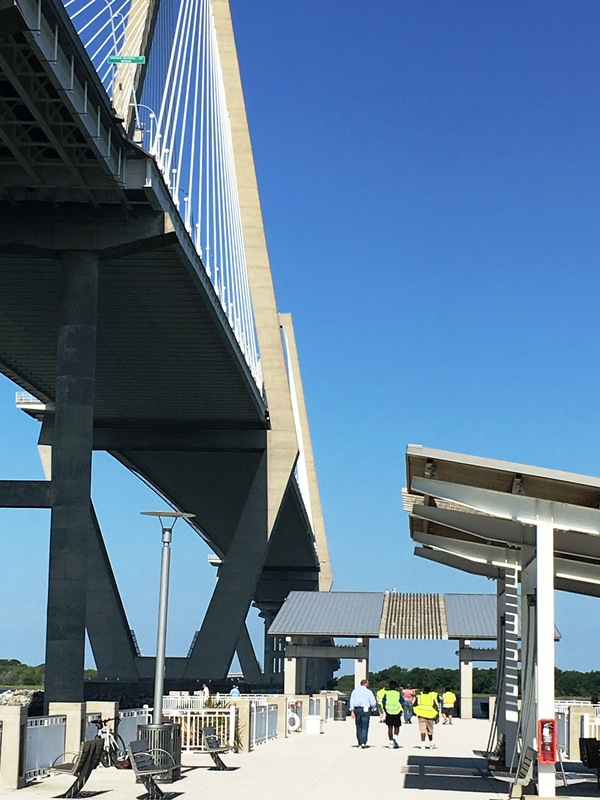 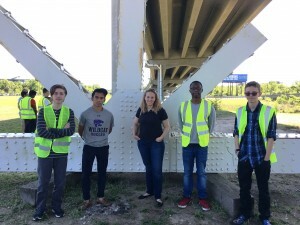 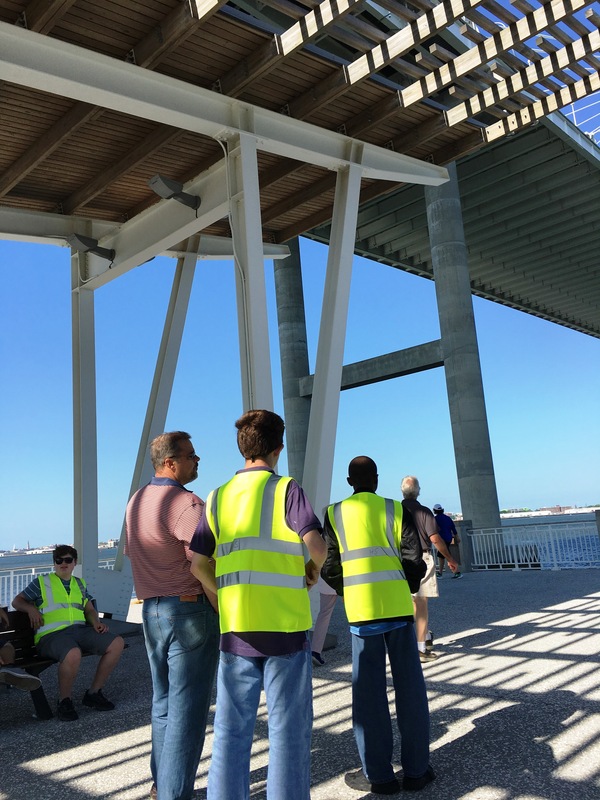 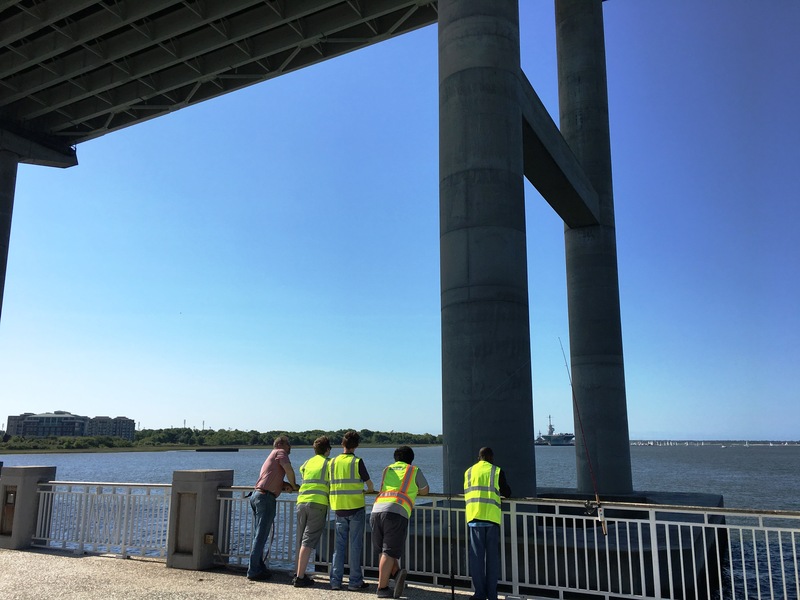 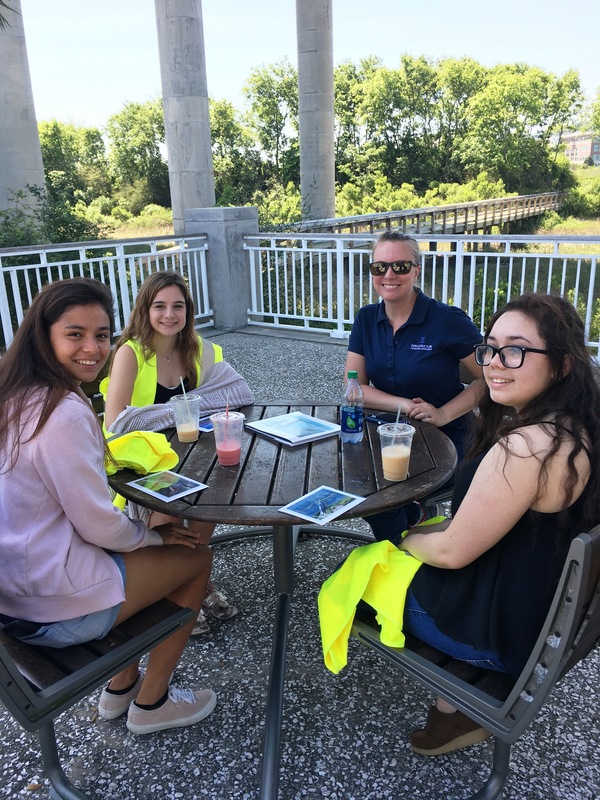 Dr. Barbara Leonard, West Ashley High School’s PLTW Engineering instructor, provided the following description and pictures from her students recent visit to the Arthur Ravenel Bridge over the Cooper River and the Mt. 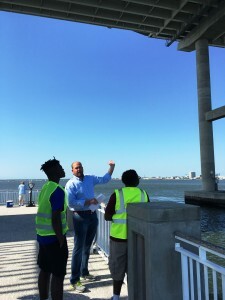 Pleasant Waterfront park with local professionals from the engineering community. The 2017 Engineering Tour of the Ravenel Bridge was a great success. 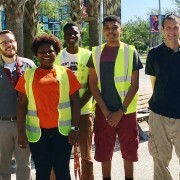 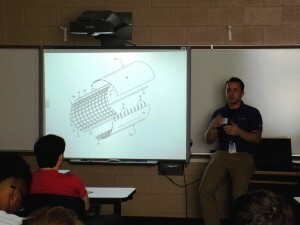 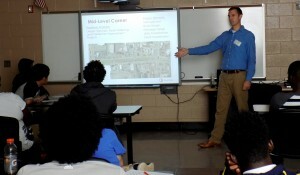 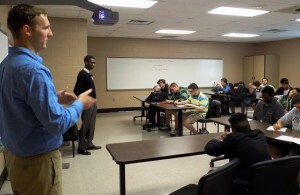 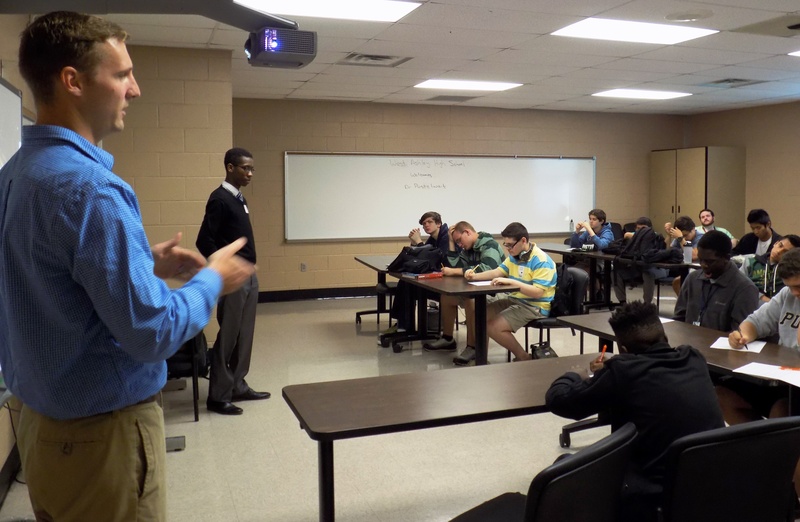 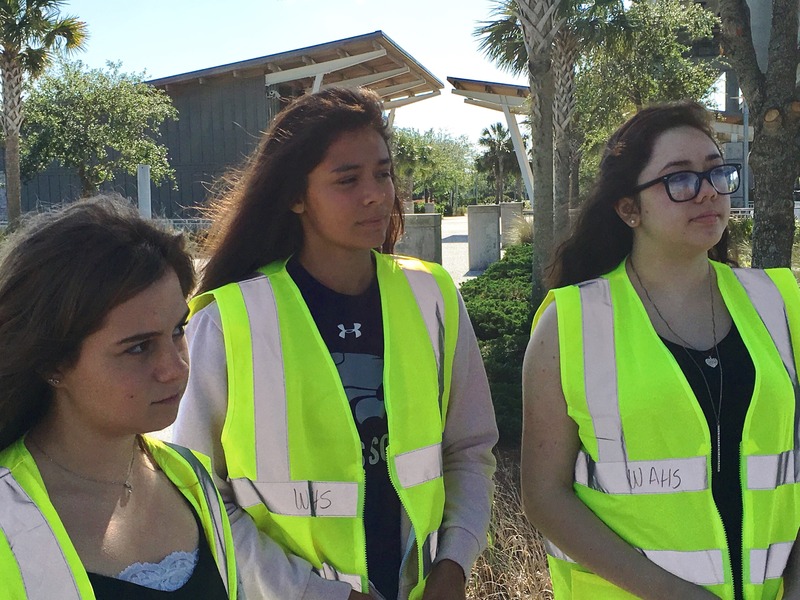 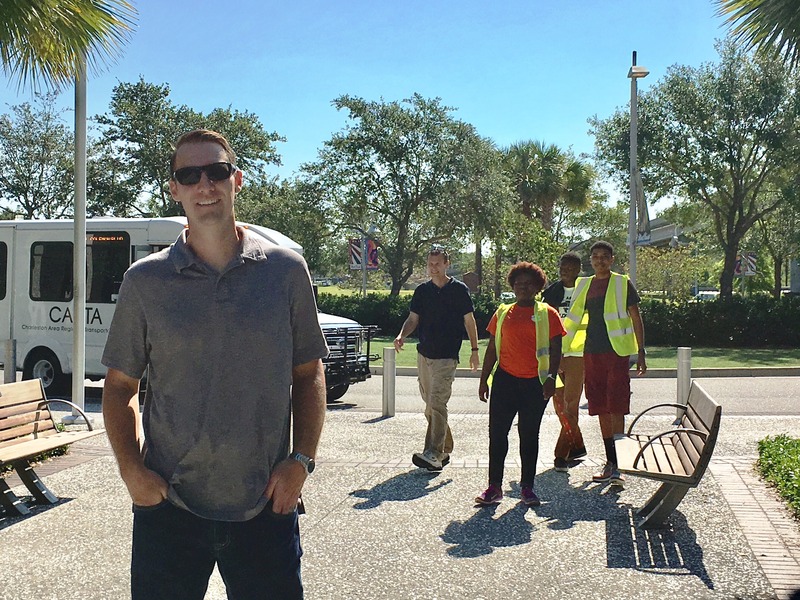 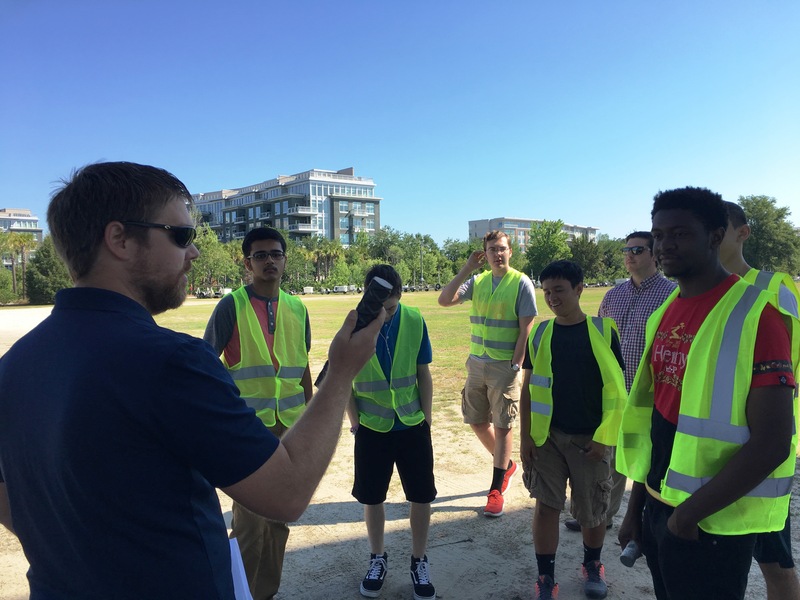 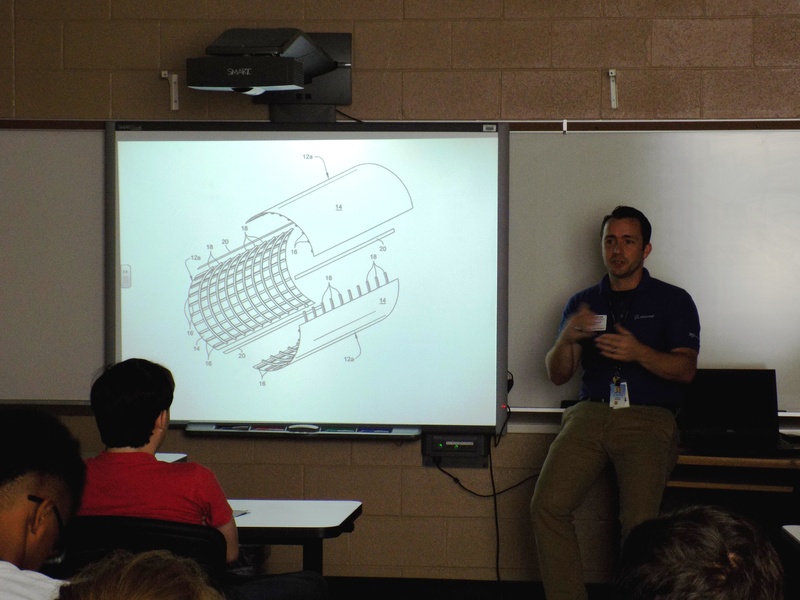 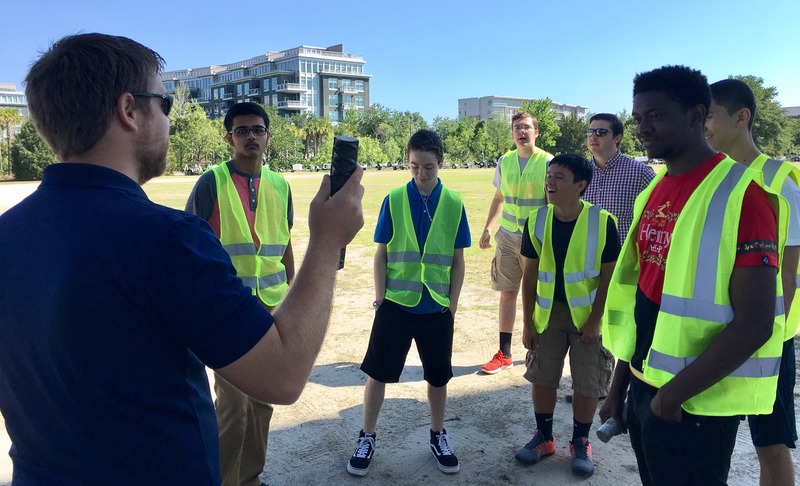 Nine engineers led walking tours for 27 pre-engineering students from West Ashley High School on Friday, April 21st. Companies represented included Infrastructure Consulting and Engineering, Johnson, Mirmiran & Thompson, Inc. and Stantec Consulting Services of Charleston. 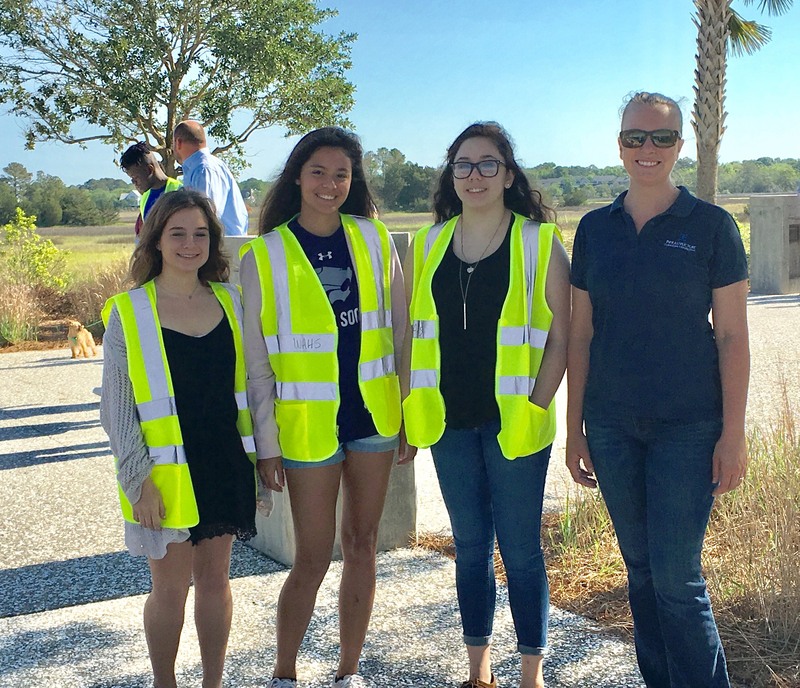 Thank you to the local STEM professionals that invested their time to ensure this powerful work-based learning experience was possible for students from West Ashley High School!